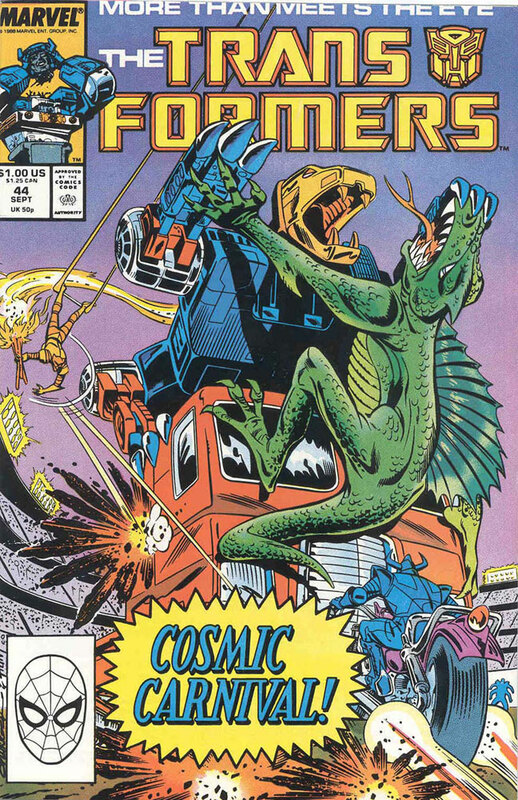 Part two of Bob Budiansky’s Top 5 best and worst Transformers comics comes to us from Sean McCarthy. Sean is a contributing writer for Pop Matters, an international magazine of cultural criticism and analysis. He can also be found on twitter either at @SeanLMcCarthy, or for something more centered around Transformers, @Spikewitwicky. 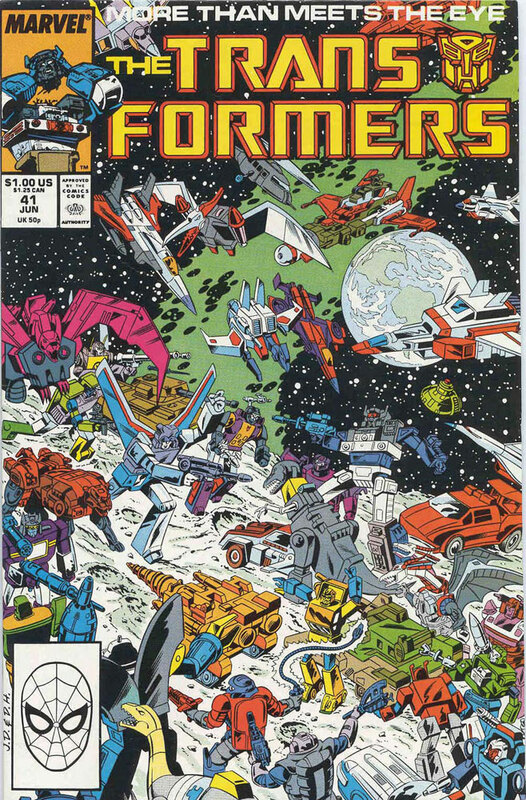 So, here is Sean’s take on Bob Budiansky’s Top 5 give best and worst Transformers comics. 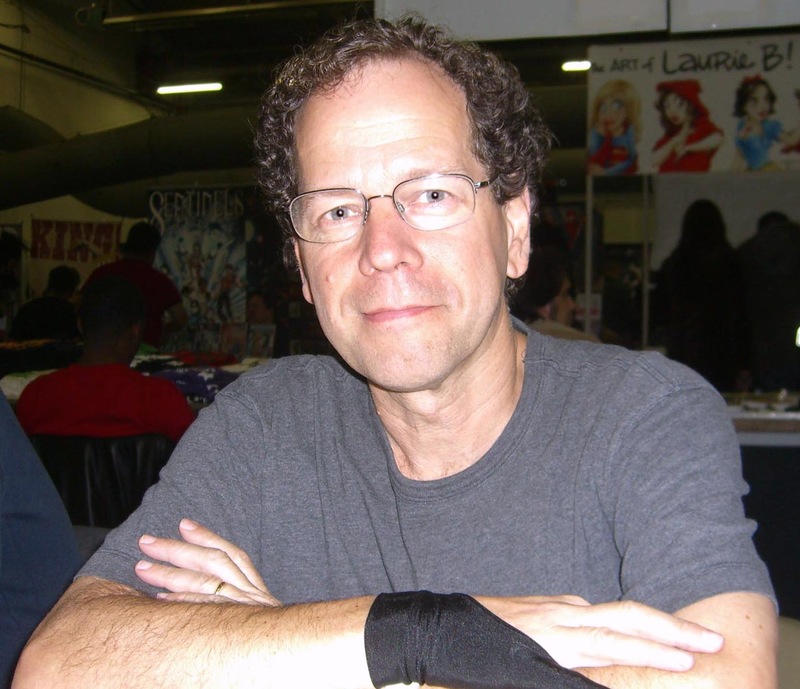 Bob Budiansky has been maligned (both rightly and unjustifiably) by Transformers fans for his tutelage of the Transformers for roughly the first half of its original Marvel run in the mid-to-late ’80s. However, without Budiansky, we may never have uttered the name “Megatron,” or “Wheeljack,” or “Dinobot” (Budiansky developed these names and scores of others for Hasbro). In 1985, I was 11 and was given a scarring summer vacation sentence: I had to spend my summer vacation at my grandmother’s home while she recovered from hip surgery. She lived in what’s best described as the student ghettos of our city. Blocks of dilapidated houses that were either populated by college students, or the elderly. With no kids to hang out, and a questionable area, my only refuge was a sack full of GI Joe and Transformer toys. I counted the hours before The Transformers were on TV in the afternoon. My only other refuge was a two-block walk to the convenience store. 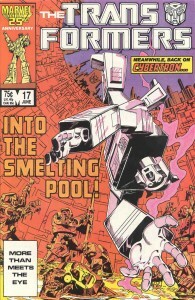 Early into my summer vacation, I saw a titillating cover: Issue 9 with a scantly-clad Circuit Breaker and Starscream. In 1985, I thought at age 11, I was too old for comics. However, with no one looking, I couldn’t help but open the pages to take a look. And what a sight. I quickly got caught up in Budiansky’s storyline. Unlike the TV series, where we have a 30-minute resolution, Optimus Prime was in great peril as his head was in the clutches of the Decepticons for months – inside their heavily fortified base. I saw a world were humans genuinely hated the Autobots as much as the Decepticons. And with this plot-line, Budiansky tightened the screws just a bit for each issue as Shockwave kept throwing everything he had at the Autobots: a new, unstoppable gestalt (Devastator), then a fast-as-light powerhouse by the name of Jetfire. The Autobots in the Budiansky universe genuinely had their backs against the wall. 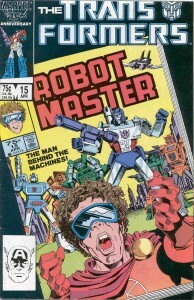 I was a loyal reader up until about issue 28, then junior high pretty much forced me to give up on The Transformers. But to be honest, Budiansky didn’t help the cause. For every issue that dealt with Ratchet’s character development, or Blaster’s heart-tugging goodbye to Scrounge, we had to deal with bland human villains like The Mechanic and Robot Master. In short, Budiansky gave us some truly great moments in the comic series. He also gave us some incredibly bad moments. And his work with The Transformers is bookended by his greatest triumph – and a blown opportunity that nearly sank the series. I put “The Smelting Pool! !” at the top for two reasons: Budiansky’s attention to the characters in this issue, and his willingness to address the absolute horrors of war. With this issue, we are introduced to Blaster. And next to Ratchet, it seems like Blaster was Budiansky’s favorite character. Unlike the TV series, Blaster wasn’t nearly as carefree. In fact, he could be downright dickish. Case in point how he repeatedly put down a meek, pint-sized character by the name of Scrounge. We are introduced to Scrounge. It wasn’t a character in the cartoon. He wasn’t for sale as a toy (at least not on the regular toy circuit). He was a character built from Budiansky’s imagination. And at the end of the issue, I ended up caring about this character. His fate – being dropped into a huge smelting vat – was one of the more heart-tugging moments of the entire Marvel series. The existence of the smelting pool was another bold addition. During the TV series, the Decepticons were always evil, but their plots were primarily selfish: obtain energy, dominate the universe, blah blah blah. 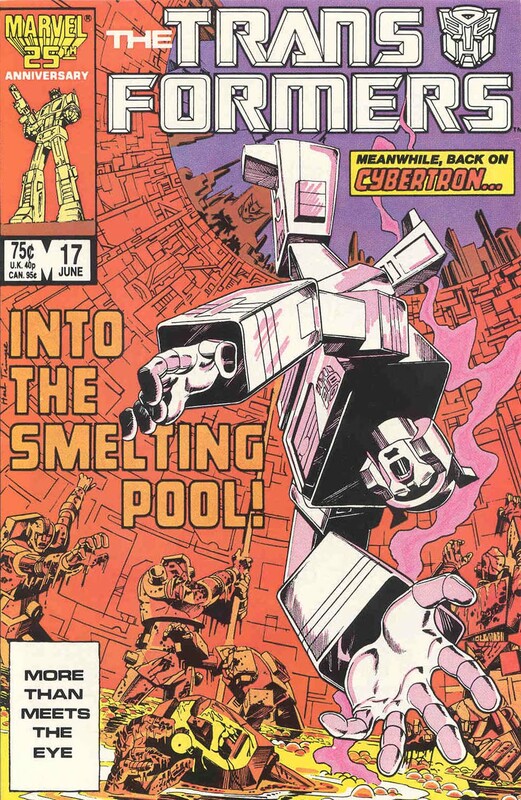 But with “The Smelting Pool” – we see what would happen in a Decepticon-dominated universe as thousands of defeated Autobots were heartlessly dumped into a smelter, giving kids a not-so-subtle parallel to Nazi Germany. 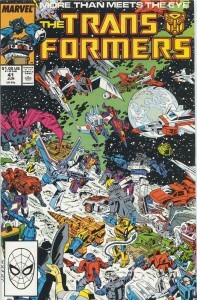 It was one of the first times – series or comic – where the Decepticons felt truly menacing and even terrifying. The fact that Optimus Prime’s death came suddenly and violently in the Marvel universe made at least half of this issue as poignant as the movie’s treatment of Prime’s death. But in the movie, Prime at least got to go out guns a blazin’ – and gave a heroic deathbed speech before his spark was extinguished. In Budiansky’s timeline, Prime was blown to bits and the Decepticons just got an energy device – a typical McGuffin that would have been unremarkable in any normal Gen-1 cartoon episode. So, Prime’s death was pretty much meaningless. Tragedy number one. Tragedy number two – Budiansky expertly lays out Ratchet’s tireless efforts to bring life to their fallen leader. But it is in vain. No goodbye speech. No “’til all are one.” Prime was dead the moment Ethan Zachary pushed the button that destroyed him. A rather newbie First Aid naively tries to comfort Ratchet, but the grieving doctor doesn’t want to hear any of it. He’s tired of seeing his friends cut down by Decepticons. And this one hurts especially. A few hours later, we’re given something we didn’t see in the movie or in the TV series – we see Optimus Prime officially laid to rest. Budiansky knocks it out of the park on this one as we see a massive Omega Supreme gently take Optimus Prime’s lifeless form and places him in a bearer. Perceptor gives a first-rate eulogy – and as a 13-year-old, I saw Prime’s body sent off into space, where it was presumed to fall into the sun. Pretty heavy stuff. Even though I raised my eyebrow in issue #24 when I saw Ethan Zachary hold a disc that said ‘Optimus Prime’ – c’mon, it was a floppy disc, from 1986! It was probably just a recording of the events. After all, Prime’s mind couldn’t fit onto something that couldn’t even hold an entire album of songs, right? So, yeah. Pretty tough life lessons from Budiansky. Sometimes the bad guys win. Sometimes your heroes get cut down so suddenly, they’re unable to make a deathbed speech. Sometimes their death is for nothing (no Autobot City saved). And we see a surrogate father figure who got you through elementary school shot into space just as you’re dumped into the cold waters of junior high. 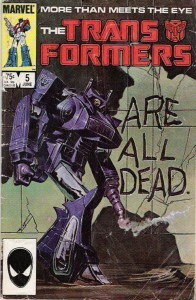 If Budiansky kept going with this (maybe showed the Decepticons ‘spying’ on the funeral and debating whether or not they should attack while the Autobots are at their lowest, or if Prime’s death should merit a sort of grudging cease-fire) – we would have had a shoo-in for Budiansky’s finest issue. Unfortunately, he had to populate the other half of the issue with a villain who has the charisma of your typical car thief you would see on your standard COPS rerun. One of the joys of reading the comic in tandem with the television series was the different interpretations of the characters. In the case of “Repeat Performance,” it’s Budiansky’s obvious affection toward Ratchet. Another joy of reading the comic, at least in the early stages, was seeing Budiansky’s own interpretation of the Transformers timeline. 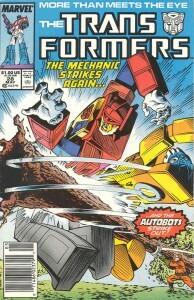 In Budiansky’s case, he did the incredibly gutsy move of totally removing most every Autobot from the main storyline for more than four months as most of the Autobots hung helplessly in the Ark, courtesy of Shockwave singlehandedly wiping out almost all of them, except for a very incapacitated Optimus Prime…and Ratchet. Pitting Ratchet against all the Decepticons was a particularly bold move for Budiansky. 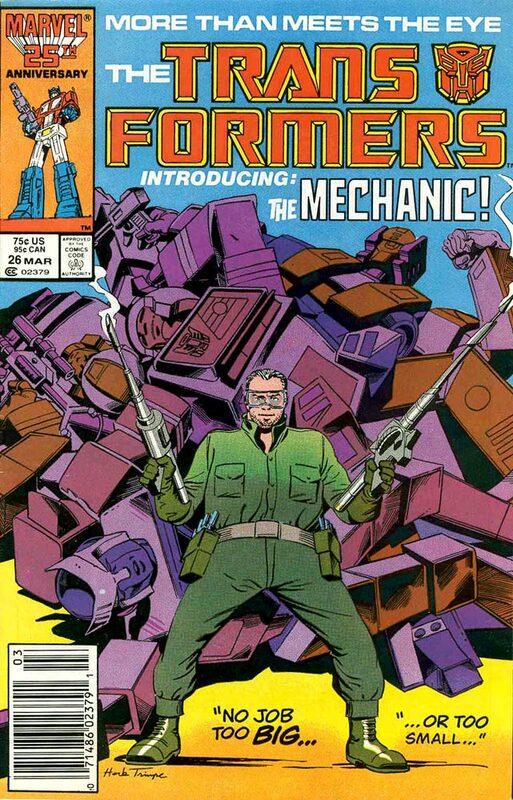 During the height of Transformers fever, Bob chose to focus on the Autobots most passive figure, and forced the gentle doctor to turn into another character entirely. In “Repeat Performance,” Ratchet makes an unholy alliance with Megatron to win back the freedom of the inactive Autobots. Knowing Megatron will betray Ratchet the first chance he gets, Ratchet is forced to do some very outside-the-box thinking. In one nicely contained issue, Ratchet manages to outsmart Megatron by summoning the Dinobots to his side. But after that plan fails, Ratchet is then forced to finally become a warrior, and do the near-suicidal act of going toe-to-toe with Megatron. 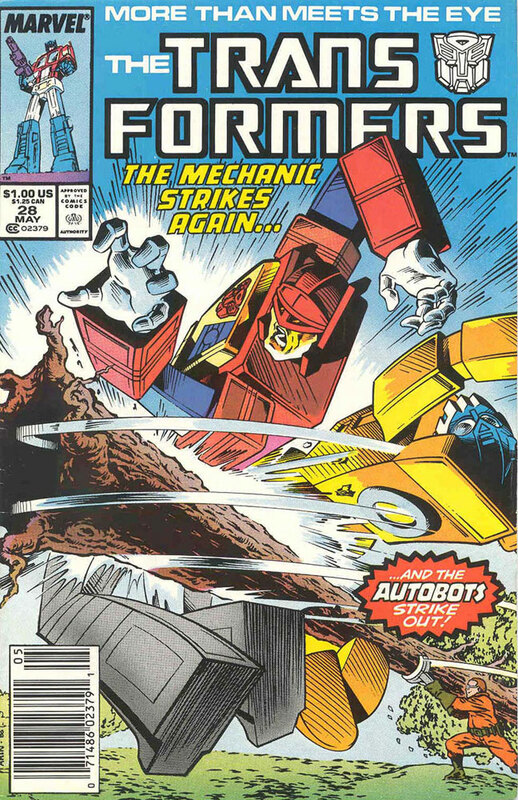 Putting the focus on one Autobot not named Optimus Prime for several issues was a risk, but “Repeat Performance” shows that such risks can yield some huge, satisfying payoffs. “Totaled!” was a rare late-issue victory for Budiansky. No generic human villains, no car washes of doom, just the Autobots and Decepticons going after one another with a zeal that Budiansky never embraced before. The stakes were there. Optimus Prime’s entire personality was on a floppy disk mere feet from Grimlock, making you think the Dinobot (and then Autobot) leader would just simply make an attempt to grab and crush said disk, ruining any chance of a Prime comeback. When the huge battle with the Decepticons ensues, Grimlock is still preoccupied with punishing Blaster for his defiance. After a tense encounter, both bury the hatchet and team up to stave off the Decepticons. Grimlock’s abrupt “about face” rang kind of hollow, but it’s a minor blemish. Despite the popular belief, sometimes it does pay off artistically to give the audience exactly what they want. Bob wasn’t kidding with this title. A nice little cliffhanger loomed over the final miniseries with Shockwave coming in just as both the Autobots and Decepticons had depleted all of their energy reserves – and blowing the entire battlefield off the map with one blast. There was enough interest from the miniseries to make the comic a full serial. But it couldn’t have started off worse for the Autobots. Shockwave is introduced as a near-unstoppable force, possessing zero of his cartoon counterpart’s loyalty to Megatron. Megs is secured on a life support system and Optimus Prime’s head was removed from its body, secure as part of Shockwave’s new plan to create a new army of Decepticons. And the Autobots? All of them are hung like slabs of meat from the Ark with the exception of noted pacifist Ratchet. Prime would remain incapacitated for almost seven months (think of that, that’s almost a full school year – an incredibly gutsy move for a kids comic). Ratchet learns the cold reality that he alone must stop the Decepticons. With the storyline of “The New Order” laid out, Budiansky was able to slowly unveil a great “against the odds” story, with each issue revealing more about the characters we’ll grow to care about. Shockwave makes a great, compelling counterpart to Megatron – to the point where we actually feel a bit of empathy for Megatron. Ratchet doesn’t grow into a superhero overnight. And human Buster Witwicky grapples with the consequences of getting involved in an interstellar war. Not a bad way to begin the new comic line. 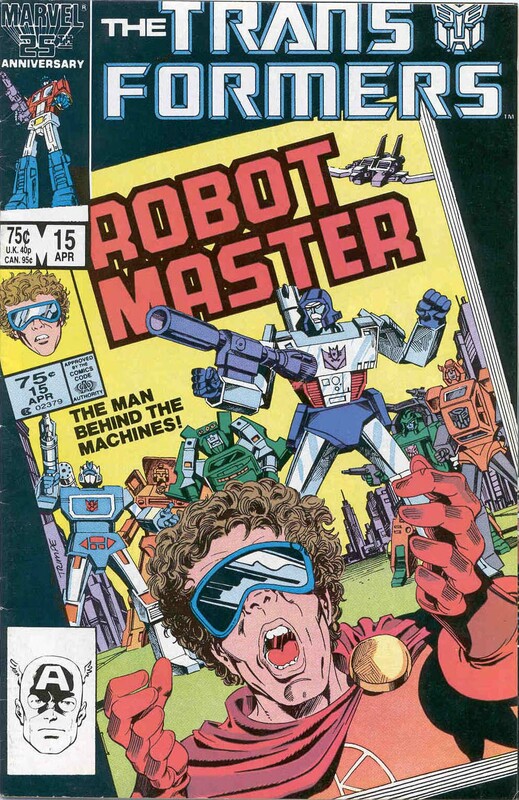 Looking back at this issue, I can’t help but think of that first initial meeting of Hasbro’s top brass and Budiansky. As an avid reader and consumer of pop culture, I love me some resolution. The movie certainly supplied that. But there was something slightly unsatisfying with Prime’s death. It came as a result of Megatron cheating (using Hot Rod as a cover). So, when I saw Issue #23 where Megatron issues a challenge to Optimus Prime that he wants a battle to the death, I was looking forward to just that. A no-holds barred final battle between the leader of the Autobots and the leader of the Decepticons. No cheats. A clean victory. The winner walks away and sees Issue #25. The loser…doesn’t. Midway through the issue, my heart sank. Plot holes that Devastator, Predaking, Superion, and Bruticus could easily fit through fatally derail the issue. Prime tells Megatron a fight to the death would destroy the entire Earth in the process. … huh? As a result, Prime and Megatron settle their differences inside a video game. And I’m not going to rehash the near-idiotic suicide decision of Optimus Prime. I’m just going to damn Budiansky for the blown opportunity. He had the golden opportunity to give another interpretation of the events where one (or both) leaders must die. These leaders have been bitter rivals for more than four million years. And neither one lays so much as a finger on one another. For a writer of that issue, you could do two things: You could make it a knock-out, drag-out fight to the death that spans for ten pages – where one finally falls. Or you could do the Bane/Batman treatment where Megatron catches Prime at the worst possible opportunity, and proceeds to lay waste to his rival with minimal damage to his own self. But do something. What we got instead was one of the worst outcomes imaginable. Prime dies … in a video game simulation. There were issues that had worse writing. There were issues that were annoyingly kiddish when the fanbase was quickly growing up. But no issue represented such a huge lost opportunity as this one. The fallout didn’t alone kill Marvel’s Transformers circulation, but it certainly didn’t help. This one’s a little high on my list for personal reasons. In 1986, some guy was trying to get my mom to go out on a date with her. As a gesture of his seriousness, he put a Transformers comic book on my bed. But the cover couldn’t have been worse or more embarrassing to me. It looked like a kid’s comic. 12 years old, desperately trying to show that I could be man enough to be left unattended and start doing some stuff on my own, that damn cover just proved that I was still just a boy. The main problem was obviously with the ill-advised new human villain, Donny Finkleberg. Great villains are supposed to make you seethe and prey for their comeuppance. But Finkleberg possessed none of the traits that make you want to root against him. He showed measures of humanity off and on as he relished the new manufactured role as the “puppet master” of the Transformers, but overall, he was just annoying. Great villains make you want to see them get their due…but then you secretly can’t wait for them to come back and try another dastardly plan. With Finkleberg, you just wanted him to go away. One constant in the “worst” column is the constant recurrence of blown opportunities. In this case, it’s the first mission of Optimus Prime since his return. Is Prime going after Decepticon leader Shockwave? Maybe continue his feud with hot up-and-comer Scorponok? Or… does Budiansky have a newly-active Prime undertake a horribly banal side mission that would have been resolved in the first five minutes of your average Gen-1 TV show before the “A” plot arrives? In “Cosmic Carnival”, we get Prime (at least he looked like his old form and not his overly-accessorized ‘new and improved’ model) leading some Autobots on a side mission to rescue some kids who are trapped in a, you guessed it, cosmic carnival. The writing itself may not have been horrible, but few issues showed Budiansky’s growing tone-deafness toward his audience. Coming out at a time where Transformers were waning in popularity (the cartoon was either cancelled, or close to being cancelled), those remaining dedicated fans were getting older and demanding more mature story lines. At a time when Simon Fuhrman was redefining The Transformers and carrying the series through its darkest hours (pun intended), Budiansky’s work was limping toward its finish with offerings like this. Issues like #28 make me think Budiansky had a genuinely sadistic attitude toward the Autobots. 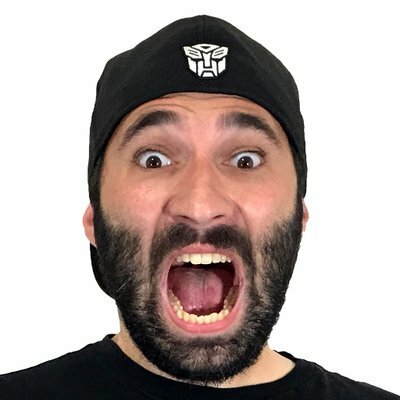 After all, this is the writer who fearlessly inactivated nearly the entire Autobot army for four solid months, then killed off their leader without giving Megatron so much as a scratch. Now, without Prime in command, a power vacuum forms, and Grimlock essentially bullies his way into the leadership position. Two things make “Mechanical Difficulties” an outright bad read. 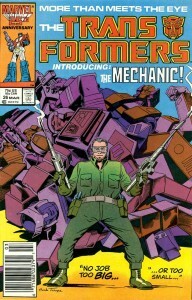 The first is the return of The Mechanic, a villain that I don’t think anyone was clamoring to see again. Putting a human element into the series is commendable, but having the Autobots assist in a general sting operation, was downright silly. The second problem was Budiansky’s horrible interpretation of Grimlock. 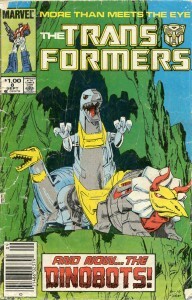 When Grimlock was selected to be Prime’s successor, he showed a brief glimpse of humility. But by issue #28, he was threatening punishment for failure, and literally flaunting a crown. Even without Prime, the Autobots had a few great choices for leaders (Jazz, Prowl, Jetfire) – and despite Grimlock’s strength, it’d be easy to see the capable Autobots rally and rightfully oust Grimlock. 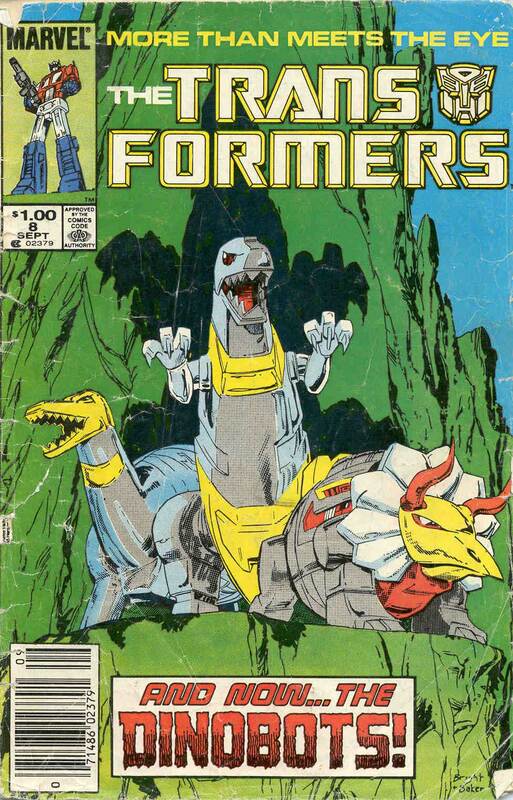 But this group of Autobots meekly go on with Grimlock’s ludicrous behavior. The only bright spot was the development of Blaster, a wonderful moral conscious that plays off well against Grimlock’s pig-headedness. Blaster would become Budiansky’s muse, replacing Ratchet, but it was wasn’t enough to rise out of the muck that was this issue. All the reasons I have “Funeral For a Friend!” near the top of Budiansky’s greatest moments – the other half of that issue shows the exact inverse. 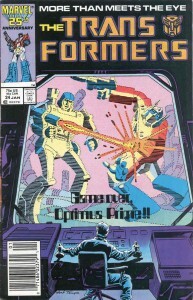 Readers had to wait a full issue to see Optimus Prime’s fate (Issue #25 dealt with Megatron grappling with living in a Prime-free world). For a character as legendary as Optimus Prime, the issue could have easily just focused on the enormous impact of his death. 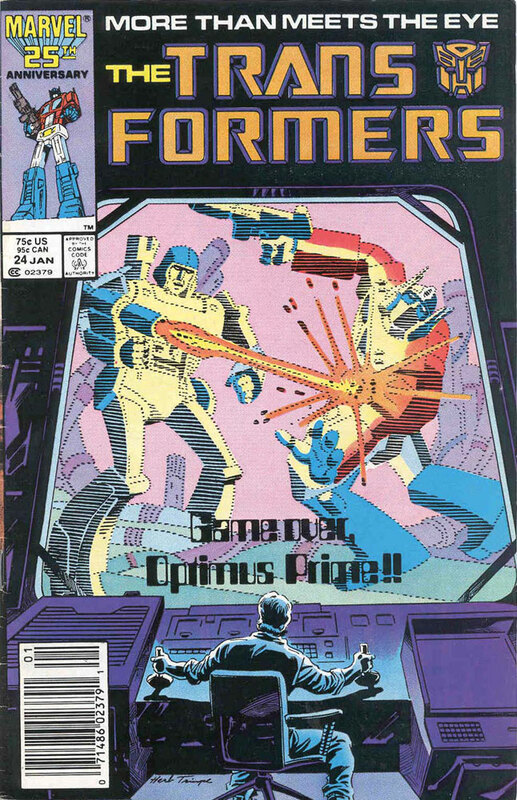 Instead, we had to weave through a totally unnecessary b-story (that happened to actually take up the cover, and more panels than the a-story), involving a terribly uninteresting car thief who tries to break into The Ark and take a few Autobot weapons. The best equivalent I can think of would be if half of the Season 3 classic episode of “Dark Awakening” were to have been taken over by a human stock villain (see Sean Berger) from Season 1. The human storyline contributed nothing in an issue that should have focused solely on the fallout of having the two main leaders of the Autobots and Decepticons gone. Why Budiansky didn’t delve further into that dynamic in this issue continues to baffle me. Thanks, much for putting this together, Youseph! Interesting again about the overlaps (Smelting Pool, Repeat Performance). Thanks! I was so hyper focused doing the reviews that I really appreciate you pointing this out and asking me to do it. It turned out really fun to do.